Patty Jenkins’ “Wonder Woman” made history: With an opening weekend gross of $103.3 million, the Warner Bros./DC Films release had the biggest opening for a female-directed movie ever. But a female-led action blockbuster is unlikely to spark a revolution in studio decision-making anytime soon, Hollywood insiders tell TheWrap. Jenkins’ achievement is manifold — few women have had the opportunity to direct studio tentpoles with $100 million-plus budgets, let alone comic book movies that traditionally skew toward male audiences. But Warner Bros. reported that 52 percent of “Wonder Women” moviegoers were women — suggesting an untapped female audience for the superhero genre as well as a willingness of men to see female-oriented action movies. “This film’s impact is already measurable by the fact that it is the first in the DC or Marvel universes to draw a majority female audience during its opening,” chief analyst at BoxOffice.com Shawn Robbins told TheWrap. In the next three years, Ava DuVernay is directing Disney’s big-budget adaptation “A Wrinkle in Time,” Niki Caro is doing Disney’s live-action “Mulan” and Trish Sie is helming Universal’s “Pitch Perfect 3” — all with female protagonists. Still, Hollywood studios have show in little progress in telling women’s stories on the big screen — or hiring them behind the camera. In March, TheWrap reported that only 6 percent of the movies slated for wide release this year from the six major Hollywood studios are directed by women, a drop from the last two years. Disney and 20th Century Fox, for example, have no movies on their 2017 release slates directed by women. However, Sony did just tap a female director for another comic-book movie (“Silver Sable and Black Cat”) and hired Elizabeth Banks to take over the “Charlie’s Angels” series. At the time of the report, of the 149 movies slated for a wide release from the six legacy studios over the next three years, only 12 have female directors. And according to the 19th annual Celluloid Ceiling report by Center for the Study of Women in Television and Film at San Diego State University, only 7 percent of directors of the top 250 domestic grossing films last year were women, down from 9 percent in 2015. 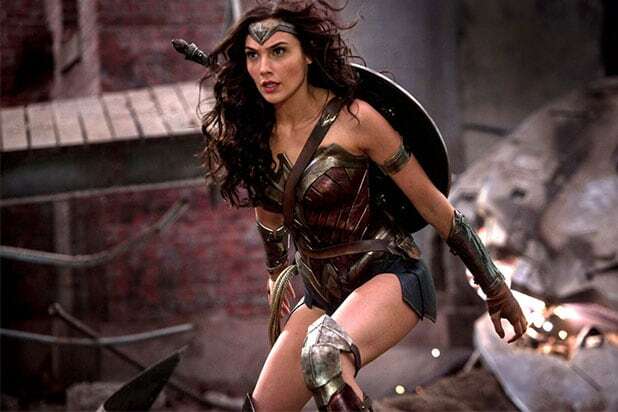 Martha Lauzen, the executive director of the Center for the Study of Women in Television and Film, suggested looking at prior “open moments” to see what the success of “Wonder Woman” might mean for women in the industry. “The discussions surrounding both Kathryn Bigelow‘s win at the Oscars for ‘The Hurt Locker’ and the box office success of ‘Bridesmaids’ are instructive,” she told TheWrap. “When Bigelow became the first woman to win an Oscar for Best Director, many reports suggested her victory would ‘change everything’ for other women who direct high-profile features. Of course, we know that didn’t happen.” And no other female director has won the Oscar since then — or even scored a nomination. “There is no question that she could direct a male superhero film,” added Schulman. “It was as much fun watching Chris Pine as Gal Gadot and the dialogue was equally filled out. Let’s hope her success isn’t blocked out in any way. "Wonder Woman" smashed records its opening weekend, and has the internet buzzing. The first super hero movie featuring a woman has young girls everywhere inspired by a new role model. 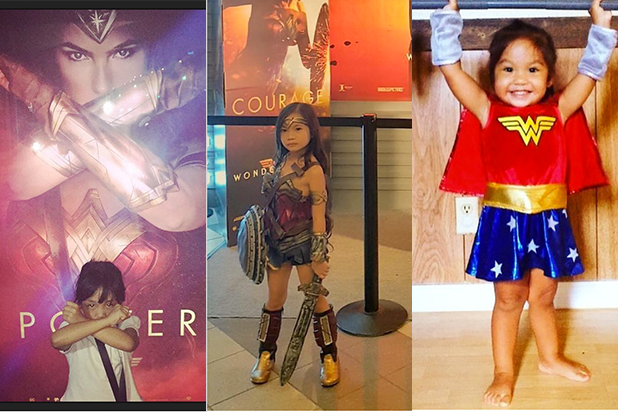 "Wonder Woman" is inspiring girls to be strong. Parents are starting their girls young with "Wonder Woman"-inspired onesies. This little tot is ready to take on the world. This family is full of wonder women. Do we have some future female filmmakers here? All smiles after seeing "Wonder Woman." Who wouldn't want to grow up to be Wonder Woman?